Location Relics of Summerset for The Elder Scrolls Online: Summerset. Lantern of Lies, Heart of the Indrik, Silver-Tongued Quill, Unraveling Wand, Skull of Minor Cursing, Shadowcutter Blade, Soulkeeper's Urn, Chest of Condemnation, Never-Ending Scroll, Inescapable Helm, Sticky-Fingered Lute, Fan of False-Face, Pillow of Sweet Dreams, Mirror of Fatal Premonition, Monochrome Paintbrush, Hourglass of Perceived Time, Jaunt of the Jilted, Ever-Filling Chalice, Chestplate of Dessication, Shattering Sword. You see, this happens to be the Vault of Moawita, where the Psijic Order keeps its most cursed relics. It's a tad bit emptier than usual though. It seems we've had a break in. You'll find the Psijic Codex on that table over there, whenever you're ready. The codex will help your search immensely. It's bound to every item in our collection, so it should be able to tell you each relic's location. Relicmaster Glenadir of the Psijic Order has tasked me with recovering stolen relics, taken from the Vault of Moawita. I'm unable to take the Psijic Codex with me. I should copy down the locations described in the book. Psijic Codex read it, and copy it. Psijic Codex Transcription use it. 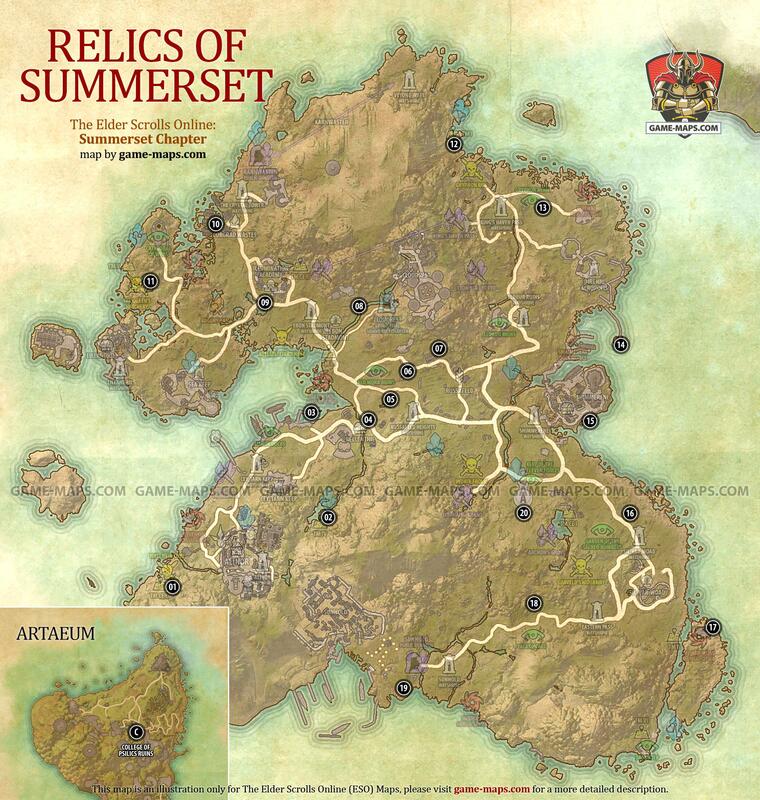 Now return to Summerset and find Thieves Guild Dead Drop Chests to collect Relics. Return to The Vault Of Moawita in Artaeum and return all relics to get Achievement.